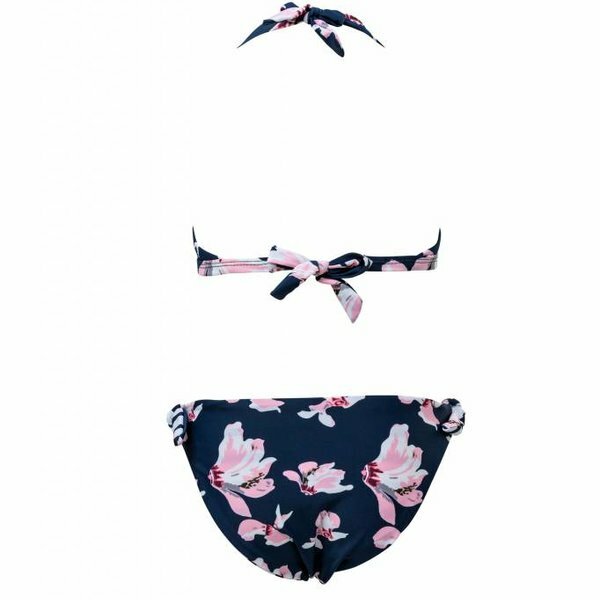 Classic bikini style with reversible bottoms in a beautiful navy orchid print. Hot sand. Friends. Fun. These classic style bikini with soft next and back tie will be a hit at any age. 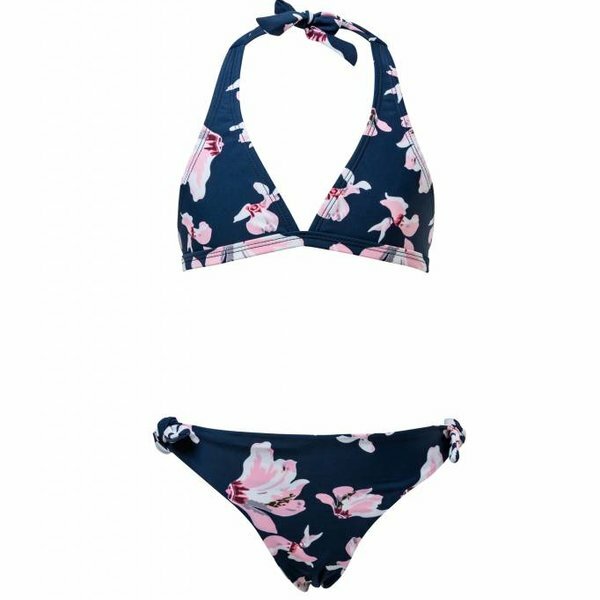 Lined front and back in striking Navy Orchid design for a truly tropical look that no girl can go past this summer. Reversible bottoms have navy orchid print one side and white and navy nautical stripes on the other. Match with any of Snapper Rock's UPF50+ rash tops for extra protecton. Will also look fabulous with Navy Orchid swim leggings. Removable padding in size 14 and 16.